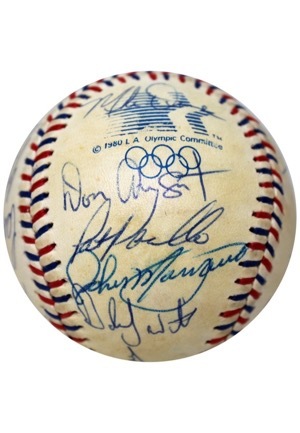 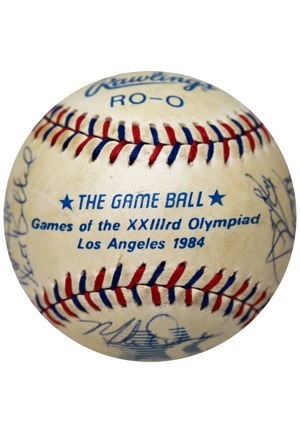 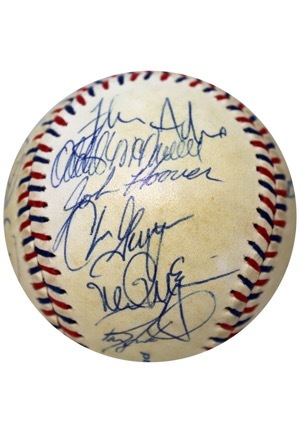 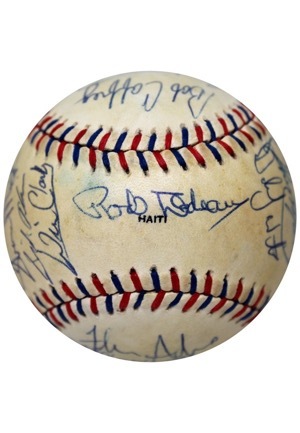 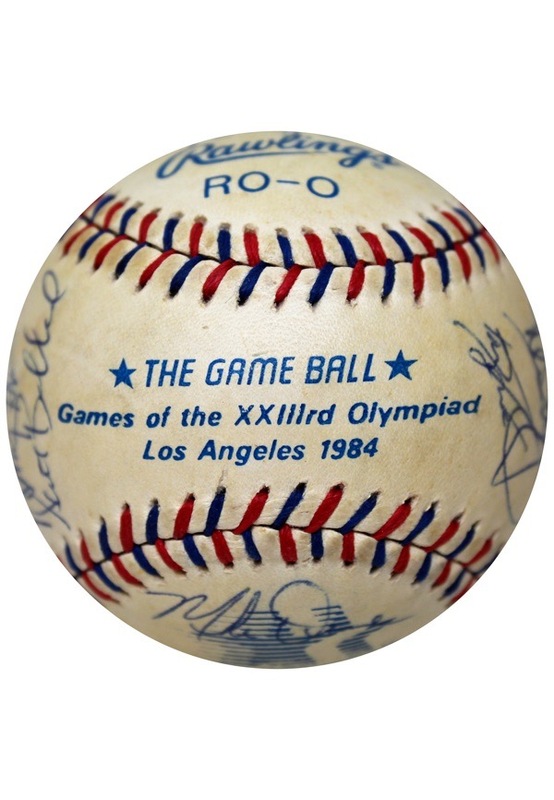 Rawlings manufactured “THE GAME BALL” “Games of the XXXIIIrd Olympiad Los Angeles 1984” baseball team-signed by the United States. 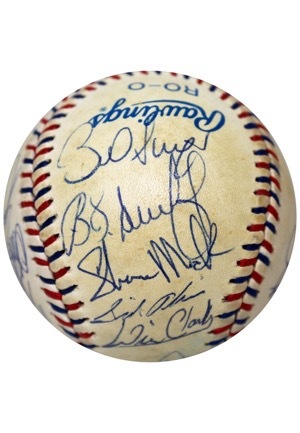 The signatures are done in blue ink and in our opinion rate between 7-8. 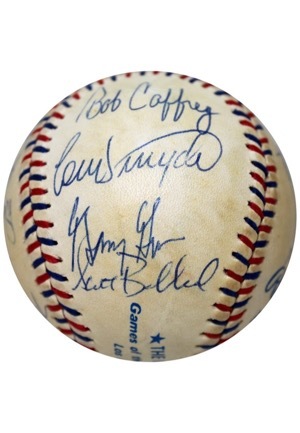 EX condition with minor toning and spotting.